Click here to download the Forum Brochure. …and the way in which governments and multilateral organisations (Wassenaar Arrangement and others) may seek to control, limit or respond to them. Is it enough for business to take a wait-and-see approach to the future? If that’s not how your company views the world, this is a conversation that you need to be a part of. As an experienced international trade manager in one of the world’s best known corporations, Kevin is uniquely well placed to open the discussion, and share his thinking on the future compliance challenges faced by industry. Eighteen months into the Donald Trump presidency, and in some respects sanctions are more prominent in the terrain of global business than ever before. As to Iran, the JCPOA is left intact, but almost in a state of limbo, awaiting a renewal of political will (or change of wind) from the US administration, with the EU and other signatories poised to resist any change. Meanwhile, the US-Cuba ‘thaw’ remains on ice. Against Venezuela and North Korea, the US administration appears determined to show it is no soft touch. North Korea, the focus of concerted international convergence, is drawing the attention of ever greater numbers of businesses as the net tightens and North Korea increasingly resorts to deceptive tactics to evade global sanctions. Russia sanctions have become a contested domestic political issue in the US. CAATSA – the Countering America’s Adversaries Through Sanctions Act – is as bold as its name, though some members of Congress have charged that the Trump administration has failed to implement its Russia-related provisions faithfully. The EU and other nations, however, have been disinclined to expand Russia sanctions beyond their current scope. 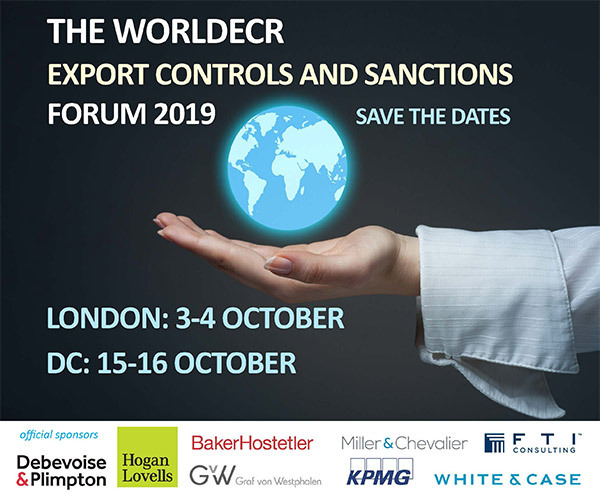 In this presentation, Satish Kini and Carl Micarelli from the law firm Debevoise & Plimpton will give a tour d’horizon of US, EU and UN sanctions, emphasising those areas less well understood by compliance personnel. They will describe the general direction of travel of key agencies such as OFAC, grey areas, and interactions between the respective regimes of different jurisdictions. This is a must-attend presentation given by two lawyers who advise businesses and financial institutions at the highest level – both on practical, day-to-day matters – and for strategic planning. Barbara Linney and Saskia Zandieh – Secondary sanctions: sometimes a primary concern? Secondary sanctions target non-US persons engaged in activities sanctionable under US law, including doing business with entities or countries sanctioned by the United States – even where there’s no US nexus. If imposed, individuals and entities alike can find themselves on the OFAC Specially Designated Nationals (SDN) or Foreign Sanctions Evaders (FSE) Lists, locked out of the US financial services market and other sectors of the US economy, and prevented from doing business with US companies. Historically, the majority of secondary sanctions were imposed on companies and banks trading with Iran. Now, with the withdrawal of the US from the JCPOA, non-US companies must be prepared for being targeted once more. In addition, the Countering Americas Adversaries Through Sanctions Act (CAATSA) introduced a slew of possible new secondary sanctions, especially as regards doing business with Russia and North Korea, and many of these new sanctions have a human rights or anti-corruption focus. The future of Iran sanctions is uncertain and the language in CAATSA is sometimes vague, but what is clear is that the issue of secondary sanctions is a live one and creates significant compliance risks for non-US companies – and their US business partners alike. We’re delighted that Miller & Chevalier’s Barbara Linney will be on hand to fine-tune our understanding of the notion and nature of secondary sanctions, their application – and why, in 2018, they’re riding high on the compliance agenda. Her colleague Saskia Zandieh will explore the steadily increasing deployment of US secondary sanctions as instruments of the human rights and anti-corruption movements in addition to their traditional role as foreign policy tools and how these new objectives impact sanctions compliance. How should manufacturing sites be laid out in such a way that controlled areas are not inadvertently in sight? Which licences are required to be obtained and for whom? Travel presents its own headaches. As the ‘information age’ matures new threats and vulnerabilities emerge. It may be tempting to log on to the nearest ‘hotspot’, but is it wise? Armed with salutary ‘how not to’ tales, PolyONe Empowered Official, Lila Rose Landis and Nausheen Hassan, Export/Sanctions Counsel at Varian Medical Systems, outline the danger areas, both on the factory floor – and on the lecture circuit. Lila and Nausheen will discuss how you can implement policies and conduct training in such a way that minimises the risk, not only of a regulatory breach – but possibly valuable commercial data also. Enforcement actions for export control breaches or alleged violations can have a serious bottom line impact for companies of all stripes and sizes – and if it is to implement effective compliance, the business community is well-counselled to understand enforcement trends. Roy Liu, counsel at the DC office of Hogan Lovells, will be on hand to facilitate exactly that. The need to balance multijurisdictional trade control regimes has become a commonplace for global companies. But that’s not to say that it is straightforward. Different countries and blocs have their own foreign policies and interests, reflected in control lists, designations and sometimes blocking statutes. Also, where nations share interests and outlooks, that’s not to say that the administrative or procedural nuts and bolts are aligned. And there is potential for greater divergence, with the EU rewriting its export control policy, China doing likewise, and the United Kingdom looking to ‘unshackle’ itself from Brussels. Kennan Teslik, Head of Group Trade Compliance for Swiss-based ABB, and Matt Bell, Chief Export Control Compliance Officer and Legal Officer at China’s ZTE, are well placed to discuss strategies for managing – and complying with – multiple export control regimes. We look forward to their insights. It’s the technology that everyone is talking about. Blockchain (also known as distributed and decentralised ledger technology, or ‘DLT’) uses cryptography, to ensure that transactions remain private and secure. Blockchain offers significant potential for safeguarding the integrity of business processes to store data in a manner that cannot be changed, stolen or otherwise compromised by malicious software or third parties. In their presentation, Sean Ryan and Farah Majid, of the Global Trade Advisory practice at Deloitte Tax LLP, will focus on the trending topic of blockchain technology and its strategic application in cross-border operations to enhance security, reduce transaction time and increase data transparency. The presentation will further drill down into how blockchain is being used in other compliance and trade areas with a focus on the latest tactical developments, research and analysis, benefits and limitations, explore possible business/use cases for an internal blockchain solution, recommended point personnel for discussion, and other considerations with a focus on compliance and export control. A must-attend session for forward-looking export control compliance professionals. Restricted party screening – or ‘knowing your party’ – lies at the heart of trade control compliance. Software tools are essential to sifting through multiple restricted party lists. But in many respects, screening, and other forms of due diligence, remain more art than science if companies are to make intelligent decisions about third parties – and the activities that it is appropriate to engage in with them. How to meet and juggle the respective requirements of the OFAC ‘50%’ rule and its EU equivalent? What are the implications of CAATSA for those doing business with Russia? How to avoid taking a ‘tick-list’ approach to screening which is commercially detrimental – and jeopardises business relationships? These are the kinds of questions which Tracey Vega, Corporate Director, Global Trade Compliance at Arconic, and Kevin Cuddy, Senior Manager for International Trade Compliance at GE, will be addressing – alongside any that you may have – in the course of their panel discussion on restricted party screening and due diligence. John Pisa-Relli – Information overload? Make data tools your friend! Increasingly, businesses are exploring the opportunities presented by new data collection and collation platforms – hugely powerful tools enabling the storage, analysis and management of information. For the trade compliance function, they present both challenges and many potential benefits. The obvious challenge is: how to manage controlled data whilst maximising the efficiencies that such tools provide? But also – how can realisation through such data tools be used to empower the compliance function and create commercial advantages which will be appreciated across the Board? And what kind of relationship is needed with other company functions to do so? We’re delighted that John Pisa-Relli, Managing Director of Global Trade Compliance at Accenture in Washington DC, will be on hand to talk with us about his company’s journey as it gets to grips with the ‘informatics revolution’ and the discoveries made therein. Is this relevant to you? Yes. If these kinds of technology have yet to cross your path, they’re sure to very, very soon. The Committee on Foreign Investment in the United States (CFIUS) is an increasingly well-known international brand in the context of national security and foreign direct investment (FDI). Likewise, the US export control regime is an extraterritorial known quantity. The rapid globalisation of non-US trade and investment controls is less appreciated. For example, on 13 September 2017, the European Commission adopted a proposal for a regulation establishing a framework for screening FDI inflows into the EU on grounds of security or public order. The proposal is a response to a rapidly evolving and increasingly complex investment landscape. Both CFIUS and export controls endeavour to protect national security through controlling access to strategic technology. To date, and certainly in the US case, there was a distinct division of labour between FDI and export controls. Now, however, owing to rapid shifts and displacements in technology production and China’s targeted outward FDI strategy of technology acquisition through mergers and acquisitions, other countries are readjusting their economic and national security calculus. Consequently, investors and traders are confronted with an increasingly complex array of trade and investment regulations and attendant processes. In this session, Dr. Scott Jones will canvass some of the dominant technology and regulatory developments increasingly affecting both traders and investors from a national security perspective. Dr. Scott Jones is a founder and Vice-President of TradeSecure, LLC. His previous roles included serving as Director of the Center for International Trade & Security at The University of Georgia and long-term consultant for the National Nuclear Security Administration. Still awaiting a standardised definition, the term ‘proliferation finance’ is understood to refer to the provision of funds used in the manufacture, acquisition, export or other activities related to military, WMD or dual-use goods. Understanding the nexus between proliferation finance and controlled goods is pivotal to making the regimes successfully function. But the relationship between PF and export controls is not always clearly understood. There are few better positioned to explain that nexus than the Honorable Sue Eckert, Senior Fellow At the Center For a New American Security (teaching a Master’s Degree Program in Financial Integrity) and former Assistant Secretary of Commerce for Export Administration. In her presentation, Sue will talk both about recent developments in thinking on proliferation finance (and Financial Action Task Force guidelines) – and its relevance to the everyday practice of compliance. The energy sector may be the lifeblood of the global economy; it is also amongst the most scrutinised and regulated of sectors – in part on account of the geographical distribution of the resources it harvests, and attendant geopolitical and other issues. Recent sanctions developments have had major consequences for many oil and gas players. Andrew and Diego will also discuss active enforcement by regulatory agencies, and the fallout from recent settlements. Germany is the largest exporter of plant machinery and hi-tech goods in the European Union, and enjoys long-established trading relationships with both Russia and Iran. It also has a strong culture of corporate compliance and well-resourced regulatory authorities – amongst them, the Federal Office for Economic Affairs and Export Control, better known as BAFA, the agency which administers and implements EU export controls and sanctions in Germany. How are German businesses looking to take advantage of the apparent opportunities created by the relaxation of EU Iran sanctions in the wake of the Joint Comprehensive Plan of Action? What has been the impact of increasingly-tightened sanctions against Russia? How do German regulatory agencies enforce export control compliance, and what consequences face companies and individuals in case of a violation of the applicable regulations? How do German exporters ensure compliance with EU and other control lists, and what are the lessons to be learnt from recent enforcement actions and recent case law in relation to compliance management systems? These are amongst the questions that Gerd Schwendinger of GVW Graf von Westphalen will be addressing in this presentation – issues, of course, which have a bearing not only for German companies and investors in Germany, but for all other manufacturers and their subsidiaries and exporters of controlled goods in the EU. The past year has seen China announce a new paradigm of export control (which pleases some, and worries others), Japan, Korea and others in the region responding to the nuclear threat posed by North Korea, and the coalescing of export control regimes in Thailand, the Philippines and elsewhere in Asia. What do these changes mean for investors and businesses manufacturing and trading with Asian countries? And what compliance strategies are available to companies looking to meet emerging requirements cost-effectively, and efficiently? In his presentation, Jay P. Nash – who, as a global trade compliance consultant specialising in Asian export controls, has extensive experience with and insights into export control regimes in that region – will outline some of the key regulatory, political and practical developments in Asian export controls, and provide valuable pointers in the direction of developments that may be just around the corner. The Indian economy is booming and its trade compliance landscape is changing – fast! In 2017, the country (which currently has a defence expenditure in the region of $56bn per annum) joined the Wassenaar Arrangement. In January of this year it acceded to the Australia Group. The SCOMET list of controlled items (Special Chemicals, Organisms, Materials, Equipment) has been updated accordingly. In April this year, the government called upon industry to introduce Internal Compliance Programs for export controls. In his presentation, leading trade specialist Sanjay Notani of the law firm Economic Laws Practice will explain how each of these pieces of the Indian export control jigsaw puzzle fit together. This is a must-attend presentation on the complex and evolving trade compliance regime of one of Asia’s most ambitious, and strategically important economies. At almost 4,000 miles, the border between the United States and its northern neighbour is the world’s longest (and that’s without factoring in Alaska). Which means that the two nations see a lot of each other (though not always eye to eye). Indeed, while annual US/Canadian trade is in the region of $500bn per annum, when it comes to export control and trade compliance, US and Canadian law are remarkably different, reflecting their very different histories, and global roles (and, currently, the world views of their respective administrations). What, then, are the five aspects of Canadian export law most likely (and thus causing hold-ups and delays) to be misunderstood by US businesses? This presentation will answer that question. Amongst Toronto’s leading international trade lawyers, Cyndee Todgham Cherniak has many years’ experience advising US companies on all aspects of Canadian regulation. If you have ever come unstuck with any aspect of Canadian export controls or sanctions – Cyndee may well know how to get you back on track. As a result of the UK’s decision to exit the European Union, organisations face a period of continued uncertainty, particularly in the area of international trade. Companies trading from or with the UK must prepare for potential changes to export classification and licensing requirements that could result in increased lead times and supply chain disruption if not effectively managed. During this presentation, Julia Bell, Senior Manager, Global Export Controls & Sanctions at Deloitte LLP in London, will identify the key trade-related Brexit impacts and potential strategies for managing the transition, including potential impacts to military and dual-use exports, as well as embargoes and sanctions. This session will cover the export controls and sanctions areas to consider when preparing for Brexit. In 2014, in the wake of the first tranche of sanctions against Russia for its involvement in Ukraine and annexation of Crimea, OFAC published its ‘50%’ rule, which holds that if a blocked entity owns, directly or indirectly, 50% or more of a property, then that property (or company) is itself blocked. Given the difficulty of ascertaining beneficial ownership in many cases, the situation can get pretty complicated. Add to that, companies frequently need to also apply EU guidelines on ownership and control. Satish Kini and Carl Micarelli of Debevoise & Plimpton will be explaining the 50% rule and its EU equivalent, and outlining in practical terms best practice in ascertaining beneficial ownership under both regimes. Given the prospect of increased numbers of designations (particularly under the Russia sanctions regimes), this is a not-to-miss session for those in the field of trade compliance.